This is the new Mafia Costume! The Ercuw, Feliz, Pucu and Reese are the first pets avaliable in the costume - it'll be released really soon! This week is Double Crystals Week! Every Elger Quest that you complete, you will get 2 Crystals instead of 1! Stock Up with your Crystals this week for cheap Gym training!! The Boosters have been retired from Account Upgrades and been replaced with new Limited Edition items. These will be on sale for 3-4 weeks and then they will retire. The Lottery has been drawn for this week. JaneBlond is the winner of the 489,000MP Jackpot with the winning numbers of 22, 23, 24, 25, 21 and 20! Congratulations! Last Week's Raffle has now ended. mp8898 is the winner of the Red DNA and 100,000MP prize with the winning raffle ticket number 22431! Congratulations! Make sure you buy your tickets for today's raffle - only 10MP per ticket! The Lottery has been drawn for this week. FLIPPYFLIPFLIP is the winner of the 775,300MP Jackpot with the winning numbers of 17, 16, 21, 6, 19 and 3! Congratulations! Last Week's Raffle has now ended. kiel1092 is the winner of the Red DNA and 100,000MP prize with the winning raffle ticket number 10887! Congratulations! Make sure you buy your tickets for today's raffle - only 10MP per ticket! Candyland has a new arrival! Our plump friend the Obese Fairy has moved to the land of chocolate and candy! She loves her food, especially Gourmet Food, which is any food item that is rarity 10 or over. Feed your pet a Gourmet Food and it will be added to a list of the Gourmet Foods eaten. 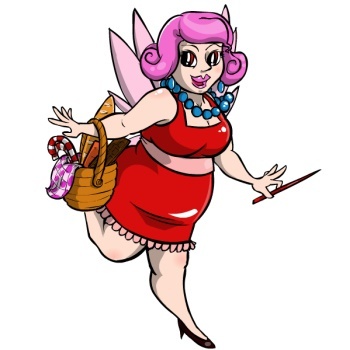 The more foods eaten, the more prizes the Obese Fairy will give you. The prize list will be released soon! The mutant, prison, zombie and mummy Pucu pet colours have been released. This week is Half Price Week! All shops that restock items for MP are selling all of their items at Half Price!!! This event will end next Tuesday. Grab your bargain items while you can!! The Tree Hugging Party has won the election! We will make sure all of their Manifesto is changed on the site, if it hasn't already been done! This means the Extra Pet Giftbox will now allow you have to have upto 20 pets!!!! We have just released the new Mission Game in the Lost City of Simeria. Hector is an obsessive collector. Hector the Collector moved to the Lost City of Simeria to collect rare artifacts, keys, runes, bones and now hes obsessed with collecting Stamps. Other Maradans laugh at Hector for wasting all of his time collecting stamps but he hopes to change their minds by encouraging more and more Maradans to collect Stamps for their Stamp Albums. Hector needs your help. He wants to encourage everyone in Marada to collect stamps for their own album. He has 30 different missions for you, each harder than the last. If you fail to have any of the stamps he asks for in your album, you will have to start again. 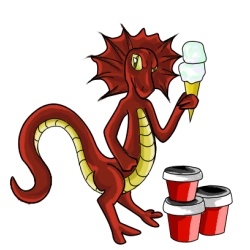 The Ice Cream Shop in Biala Mountain is now restocking 31 new ice creams and deserts. Treat your pet today! The zombie, prison and mutant Ike, Flab and Gizmo have now been released. 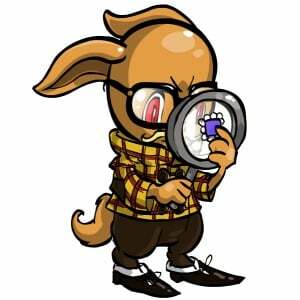 The Flab, Ike, Gizmo and Pucu default Avatars have also been released. The new May Account Upgrades have now been released!! There are 2 different themes - Anime and Sparkle! This will be your last chance to get a Quell from Account Upgrades for at least 2 years! The Anime themed Account Upgrade has the following items. There is also a 1 in 3 chance that you will get a limited edition Quell pet potion instead of Bolimo! The Sparkle themed Account Upgrade has the following items. There is also a 1 in 3 chance that you will get a limited edition Quell pet potion instead of Crindol! We have just released the new Mission Game in Puchalla Village. The poor country village of Puchalla Village is home to farmers and country folk. The quiet village lives off of the land and sells their crops and meat in bulk to other Maradan worlds for low prices. The other worlds then mass produce this produce into the foods you find elsewhere in Marada - like fast food, candy, and halloween treats. These are resold for higher prices and the Puchalla villagers cannot afford to buy them. 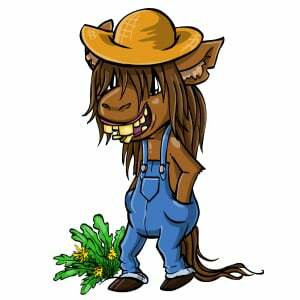 This Puchalla Bumpkin needs your help. He wants to try new and interesting food from new and exotic Maradan worlds that he will never be able to visit. He has 30 different missions for you, each harder than the last. If you fail to bring any of the food, you will have to start again. He will ask for any item that can be fed to your pets. This new Detective Costume is being released soon. Here is the Detective Ike, Mordo, Paffuto and Jessup. The 56th species of Marapet has just been released!!! The Ike is limited edition and will be avaliable really, really soon!! This new Puchalla Costume is being released soon. Here is the Puchalla Azul, Gonk, Sindi and Gizmo. The 55th species of Marapet has just been released!!! The Gizmo is limited edition and will be avaliable really, really soon!! The Undying Fairy isn't scared of death. 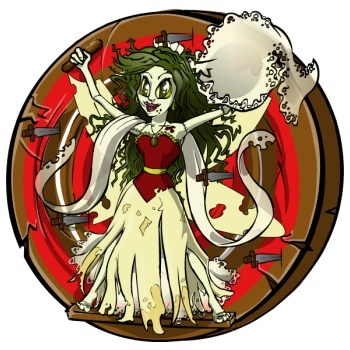 She is an Undying Woods born zombie. She likes to strap herself to this giant wheel and spin it round. You can then throw a dagger and try to hit her with it. Depending on where it lands, you will get a prize. You can visit her once every 4 hours. The game is FREE to play. The 54th species of Marapet has just been released!!! The Flab is NOT limited edition! That means you can create as many of them as you want. It is also avaliable from the Operations Portal, Whirlpool and Temple. A new Puchalla Inn quest has been released in Puchalla Village. In the quiet country village of Puchalla there is a small public Inn where passers-by wander in for a social drink and snack. Everytime you visit there is a different Maradan friend for you to meet. 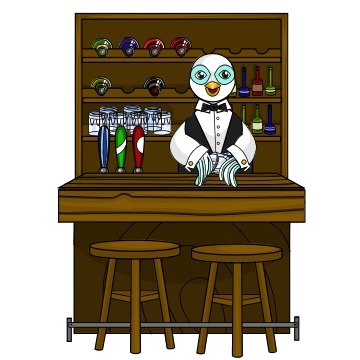 The Puchalla Inn bartender runs the Inn by himself and needs your help restocking keeping his bar packed full of drinks and snacks for his customers. Bring him drinks, such as Soft Drinks and Coffee and snacks from the Diner and he will reward you with MP. While completing a quest here, your pet will become more outgoing and socialable, and could receive a Charisma stat. All Boosters in the Account Upgrades will retire in June. You will no longer be able to buy these Boosters from next month. The 53rd species of Marapet has just been released!!! The Pucu is limited edition and will be avaliable really, really soon!! There are 35 new Photos for your Photo Albums!